The man cave is a testosterone-laden haven for you and your buddies to retreat to. It’s a place to watch all kinds of sporting events or just a spot to have that quality “guy time”. Transforming your man cave from mediocre to the envy of your inner circle is easier than you think. With some well-placed lighting fixtures, you can turn your spot into “the” man caves of man caves. TV Backlighting: Let’s say you’re having a Die Hard marathon. You’re a few hours into watching John McClane careen across Manhattan and blowing things up. Little by little, your eyes start to hurt. Before you know it, a full-on headache is distracting you from the action. The problem could be due to a lack of lighting affecting your depth perception. Simply put, the dimmer the lights, the harder it is for your eyes to differentiate between the television and the wall, putting a heavy strain on your eyes. Luckily, there’s an easy fix for this: TV backlighting. This can be accomplished by simply adding a few strips of LED tape light to the back of your TV. Not only will this increase your viewing time without getting headaches, but it’ll add a unique touch, making your TV “pop”, drawing attention to it. Display Lighting: You’ve got a sweet collection of sports memorabilia, including an autographed Roger Staubach jersey, professionally framed and mounted in your man cave, along with an autographed picture of Michael Jordan sailing through the air to the basket. What’s the best way to display these gems? Well, one of the best ways is track lighting. Track lighting gives you the ability to light specific sections of your cave, bringing attention where you want it. Generally, the most popular type of bulb used in display lighting are MR16s. Keep in mind that the further away the bulb is from the object it’s lighting, the wider the beam angle needs to be. Dimmable Lights and Dimmers: Adding dimmable lights to your recessed can lights and dimmers gives you the freedom to switch from sports bar lighting to movie theater lighting, all at the push of a button. Not only do dimmable lights and dimmers give you more control for setting the right mood, they also save on electricity costs and extend the life of your bulbs. 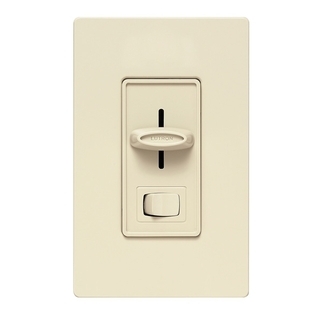 Keep in mind to make sure your bulbs and dimmers are compatible with each other before you buy them. Otherwise, the bulb may not dim correctly and may emit a buzzing sound. Bar Backlighting: This is where you can really be creative. The beauty of rope light is that it can be used virtually anywhere. Create an inviting atmosphere by putting warm white rope light under the counters, or use blue rope light to outline your bar back, adding a cool, refined look. Perhaps line the shelves with red rope light, making your bottles come alive with a fiery glow. The possibilities are endless! *Just because you don’t have a dedicated man cave, the tips above can apply to almost any room, including living or media rooms. We’d love to see pictures of your man cave! Show us in the comments below or on Twitter, Facebook, Google Plus, LinkedIn, or Pinterest!